This week, Tina Schell challenges us to “…pay some attention to curves – in nature, in architecture, on our roads and in our lives … just about everywhere if you think about it.” You can read her entire challenge post here. 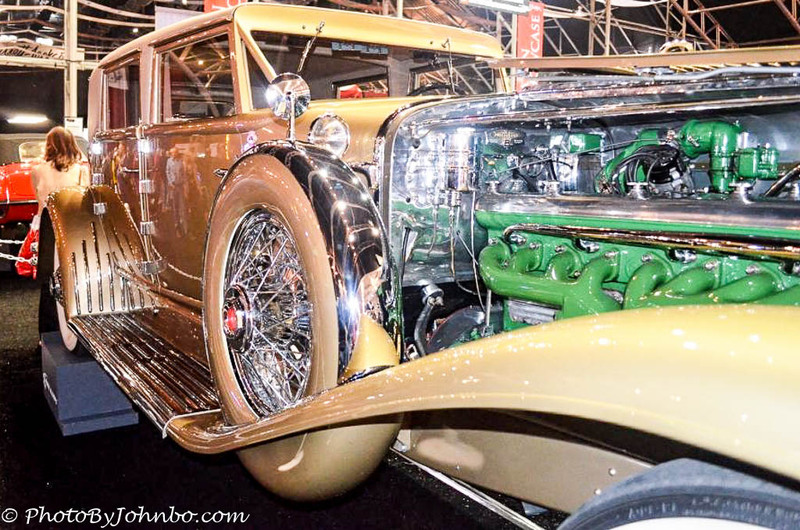 It’s an opportune topic for me, with Barrett-Jackson’s Auto Auction in full swing this week in Scottsdale to capture some more curves, those curves of the classic automobile like this 1934 Duesenberg in the opening image. From the curvature of the green exhaust manifold to the long sweeping curve that runs from the front fender, along the running board to the rear fender, this classic car uses curves to accent it’s classic architecture. With a few exceptions, today’s cars are much more boxy and utilitarian. Though nearly all cars today feature an almost egg-shaped wedge layout that is wind-tunnel proven to provide the highest fuel economy, that’s about where the curved design ends. It’s one of the reasons cars today are hard to identify. They mostly all look the same, certainly not like this mid-1950’s era Ford coupe in the image above. This 1937 Rolls-Royce Phantom III features curves in copper and steel, but the radiator grille and hood ornament give away the vehicle’s lineage as the quintessential luxury car. 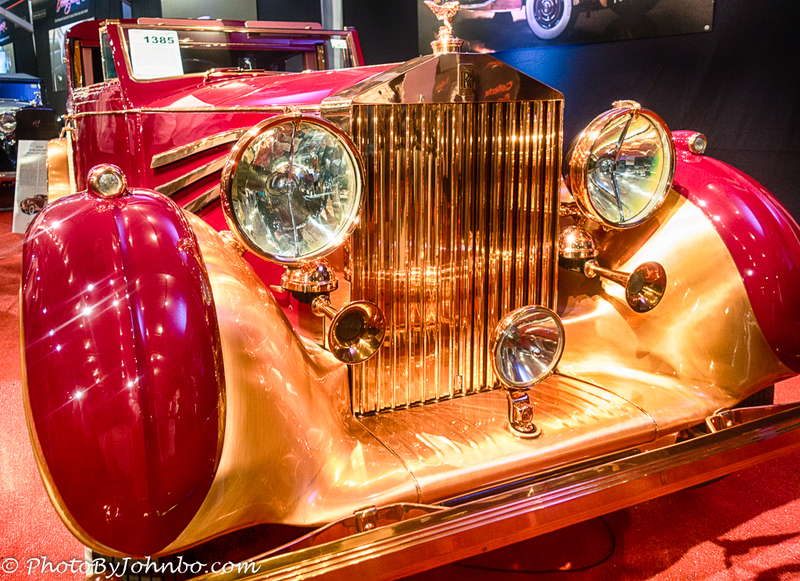 The copper and steel design was a rebuild of the original design commissioned by the car’s owner and Rolls-Royce collector John Gaul in 1946. Since then, it’s become famous at European concours. This beautiful example of automotive curvature was up for sale in 2018 in Scottsdale, but bidding did not meet the current owner’s reserve so it did not sell that day at auction. My last example of classic automobile curvature features a 1950’s era Cadillac. This car was sitting underneath a covered area, but it was parked in the last row. The sun was at an angle that caused the shadow of the awning to accentuate the curved lines of the fenders and hood. 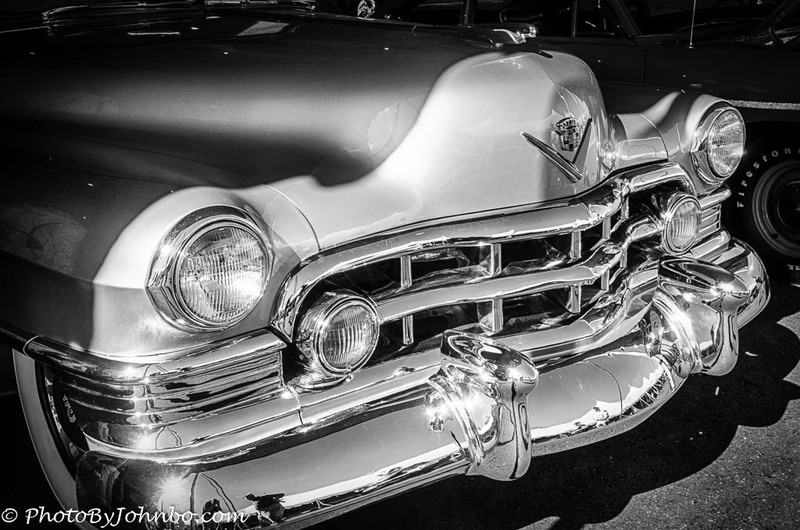 When I saw the grille shining in the sun contrasted by the darker tones of the car in the shadows, I envisioned a black-and-white treatment. I am looking forward to heading to Barrett-Jackson. I’m writing this post on Monday, and our tickets for Thursday’s auction are already bought. I am already looking forward to sharing photos from the 2019 Barrett-Jackson Auto Auction with you in a week or two. Always a huge fan of the barrett jackson pics! Look forward to them every year… As usual an exemplary example of cars from a gone by era. Always appreciate it! A classic post on curves! Wonderful choices John. How perfect that our challenge this week fit these beauties so perfectly! Cars are not as beautiful as they used to be! 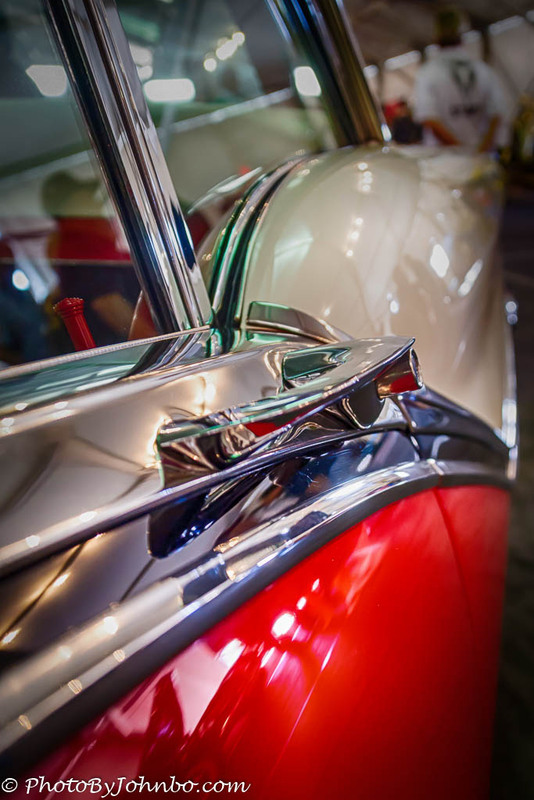 Beautiful curves in these classic cars, John! Indeed. Saw some more today at the 2019 auction! Indeed! The rewards are far more than monetary for those who love this work.